Meeting at University of Derby, Kedleston Road Campus, Wednesday 12 March, 5pm. 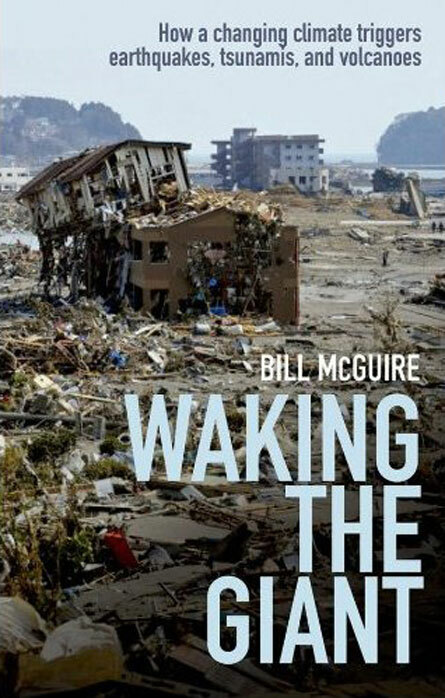 Professor Bill McGuire will be talking about his book ‘Waking the Giant’ which looks at the influence of climate change on geological systems. Small changes in the Earth’s crust can potentially trigger large hazards such as earthquakes and volcanoes. 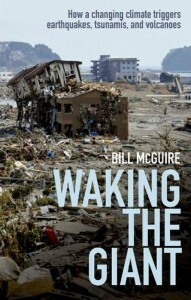 Prof McGuire explores the link between episodes of major climate transition and geohazards.Bill McGuire was a member of the UK Government’s Natural Hazards Working Group, established in 2005 in the wake of the 2004 Indian Ocean tsunami, and in 2010 a member of the Scientific Advisory Group for Emergencies (SAGE), addressing the Icelandic ash problem. He is a contributing author on the 2011 IPCC Report on climate change and extreme events.